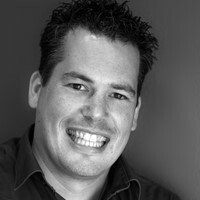 Maik van der Gaag works as a Senior Consultant, Solution Architect and Trainer (MCT) at 3fifty. Maik is a trusted advisor for organization and gives advises on Architecture, Solution Architecture and on the way they Work. During his day to day work Maik loves to solve complex problems and think about good solutions. In his spare time, he also blogs about things he encounters in during his day to day work. You can find Maik on Twitter @maikvandergaag and on his blog msftplayground.com. How to get from a Architecture to a redeployable solution with Azure Pipelines and Azure DevOps. IT pros automate a lot of things by using PowerShell these scripts can be added to Azure DevOps by using the out of the box tasks. Using this option, the configuration sometimes gets very difficult. By evolving the PowerShell script to an Azure DevOps extension, the script will be reusable, maintainable and easy to configure in the build and release pipelines. Power BI started as a self-service reporting tool and has rapidly become a part of the enterprise reporting toolkit as well. Once enterprise reporting is introduced, however, strong governance can quickly become a necessity. During this session information will be shared on how you can control versions with Azure DevOps and how reports can be deployed via Azure Pipelines. Ever wondered how it can be ensured that people adhere to Azure naming conventions, Azure services are created in specific locations, people do not create that one expensive VM and standard tags are added on Azure resources. Azure Policies are the solution. Many of these things are written down in an Azure Platform design but must also need to be checked and complied to. Ever wondered how it can be ensured that people adhere to Azure naming conventions, Azure services are created in specific locations, people do not create that one expensive VM and standard tags are added on Azure resources. Azure Policies are the solution. Talk about Azure Api Applications, .Net Core in combination with Azure Api Management and Azure SQL. Besides that, we had labs for passthrough authentication from the end user to Azure SQL with one identity.